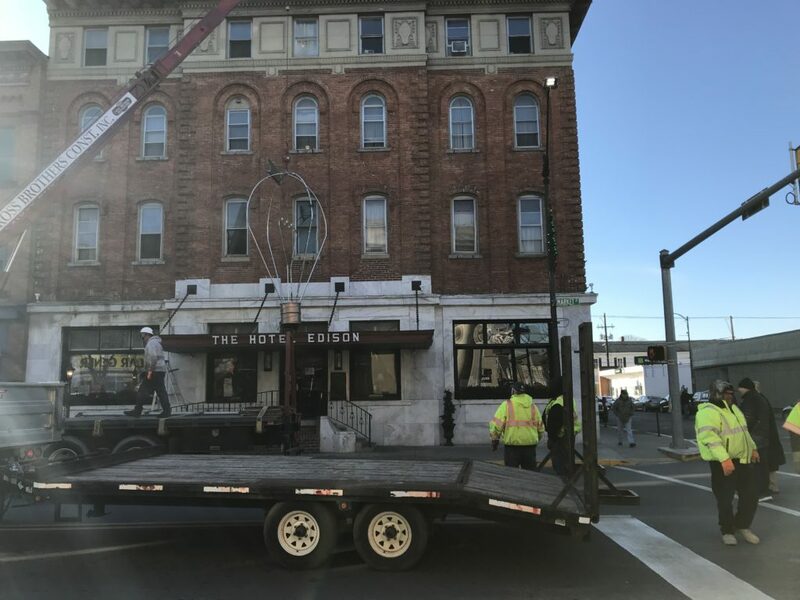 SUNBURY — Sunbury will once again ring in the New Year with the annual lighting of the Edison light bulb at Fourth and Market Streets in Sunbury. T-Ross Brothers Construction Inc. helped lift the giant light bulb onto the roof of the Hotel Edison today. T-Ross donated their crane to lift the light bulb into place, which will be illuminated at midnight on New Year’s Eve. About a thousand people are expected to take part in Sunbury’s annual New Year’s Eve celebration hosted by Sunbury Revitalization Incorporated. The post T-Ross Brothers helps Sunbury get ready for New Year’s Eve appeared first on T-Ross Brothers Construction, Inc..